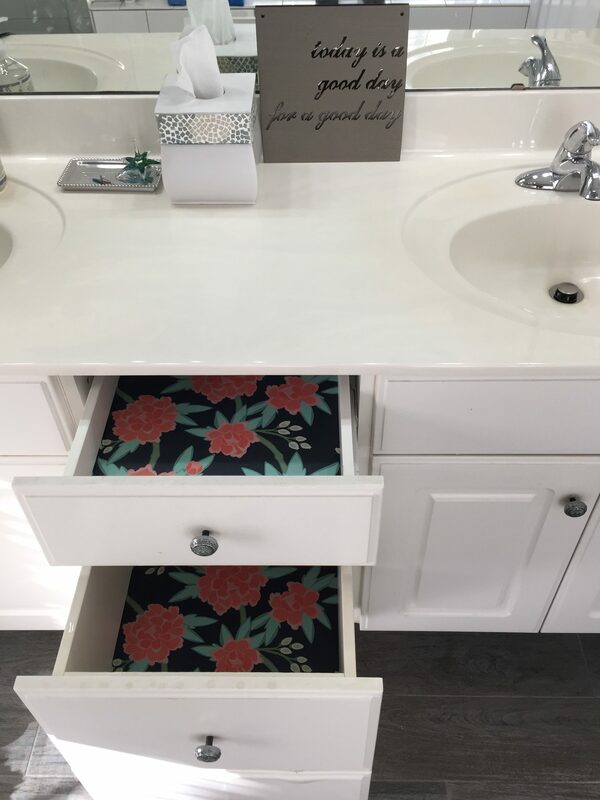 Step 1: First, measure the inside of the drawers and then add the lengths together to get the minimum custom roll size that you need to order. 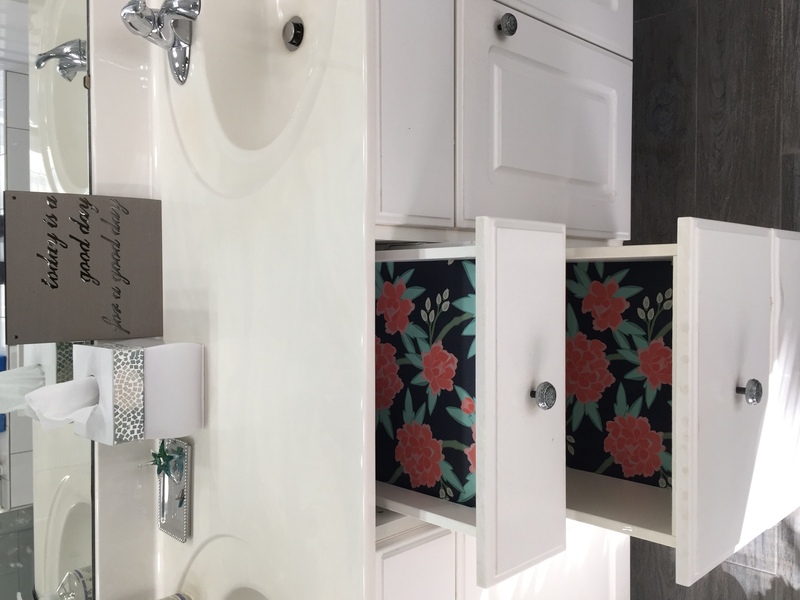 For my three bathroom drawers that were 17″ length by 12.5″ width each, I needed a total of 51″ length. 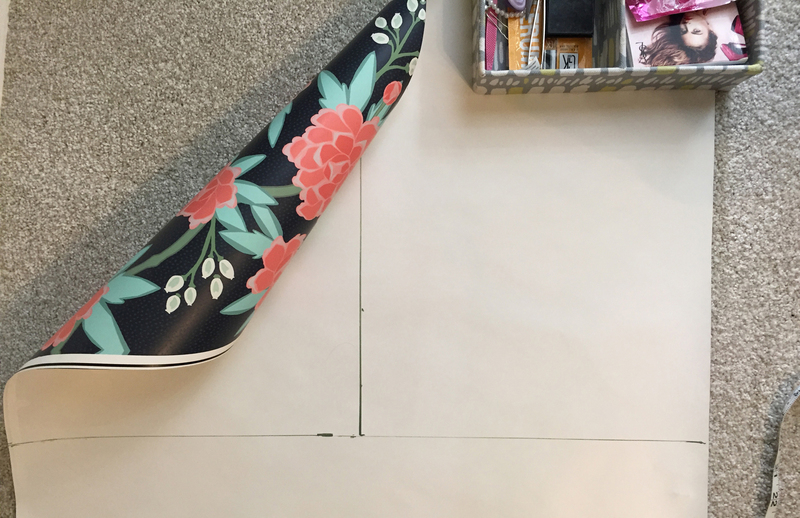 I placed an order for a custom roll of 5 feet long x 2 feet wide, which comes out to $25 on Smooth wallpaper. 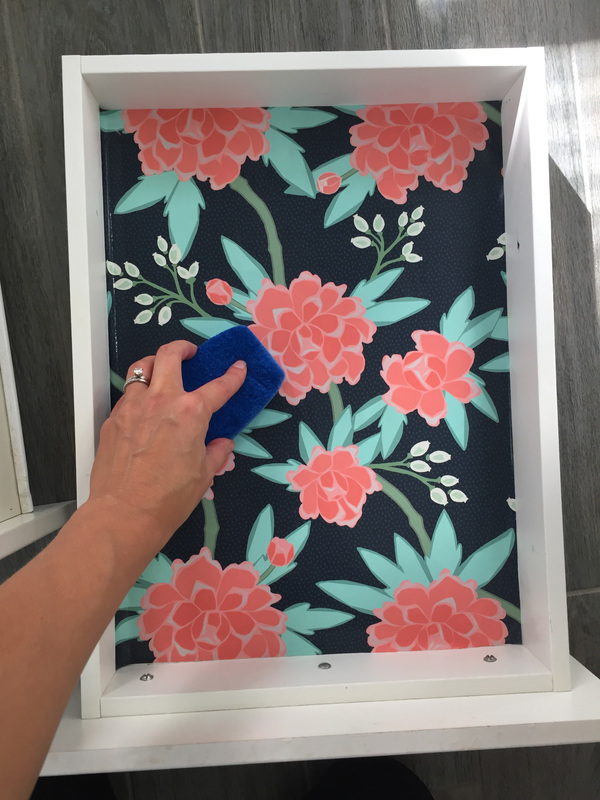 Once you’ve received your wallpaper, turn it to the reverse side and mark the individual drawer measurements using a pencil or light marking device of your choice. I used a chalk marker below as the background was dark enough it wouldn’t show through. Tip: Use pencil or another option if you chose a wallpaper with a lighter background as the chalk marker will bleed slightly when it gets wet. 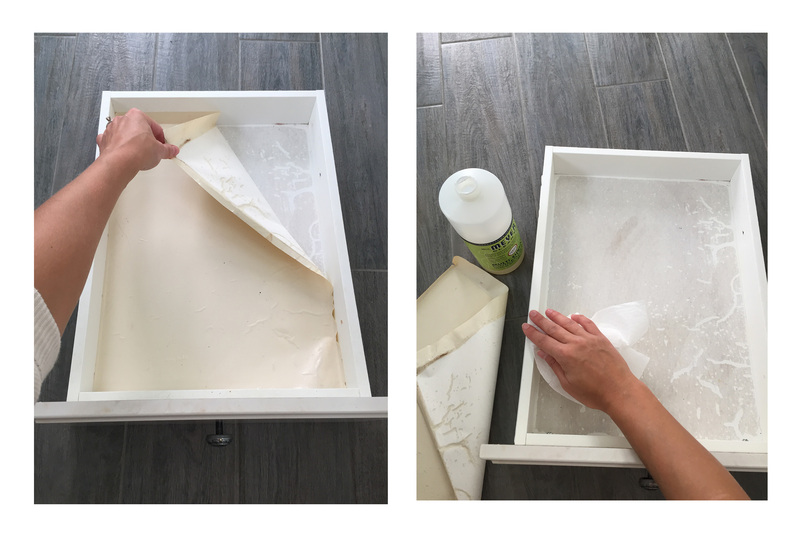 Step 2: Now’s a good time to clean out your drawers and remove any former drawer liners. Tip: Make sure to completely wipe off any water especially if you have particleboard, as it will tend to swell up if it sits in water for a period of time (i.e. don’t just rinse and turn over in a bathtub to dry. I learned this the hard way.) 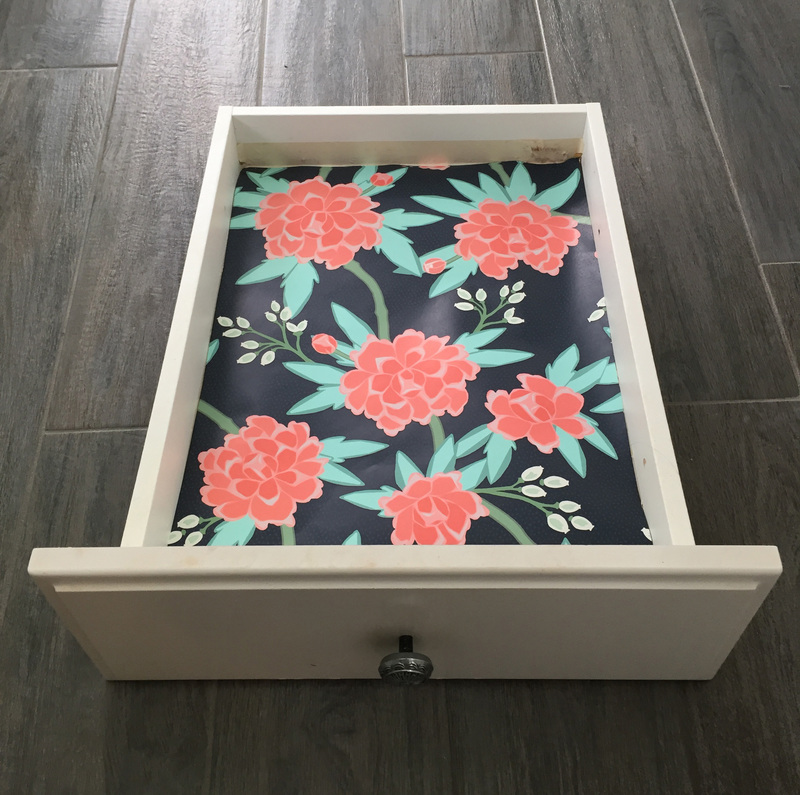 Step 3: Cut out the paper, then try fitting it in the drawer to see if you need to adjust. Mine was slightly over-wide by a tenth of an inch, but you can always trim it using a sharp utility knife later. Step 4: Once you have your pieces ready, go ahead and activate them using a paintbrush roller and bucket of water (official way) or a quick dip in the bathtub (unofficial way.) Then “book” them together and wait 3-5 minutes as per the instructions. Next unfold half of the wallpaper and match it up to the top corner, then continue to unfold and adjust the rest of it. Smooth wallpaper is very forgiving, you can easily peel up and re-adjust while it’s still wet. Use a clean damp sponge to remove bubbles and wrinkles. Step 5: Let the wallpaper dry completely for a few hours before putting things back in the drawers. I planned to tidy up over-wide edges with a sharp utility knife, but it actually wasn’t very noticeable so I skipped that step. 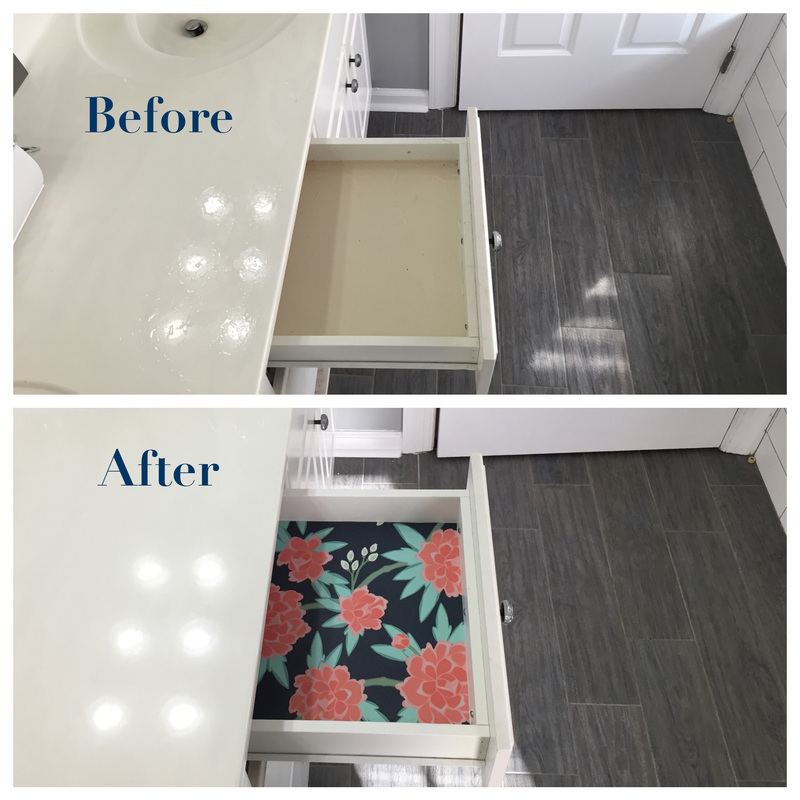 Enjoy your new statement drawers! 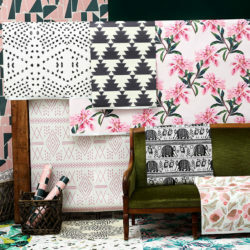 Looking for more unconventional ways to use Spoonflower’s removable wallpaper? We’ve got you covered. 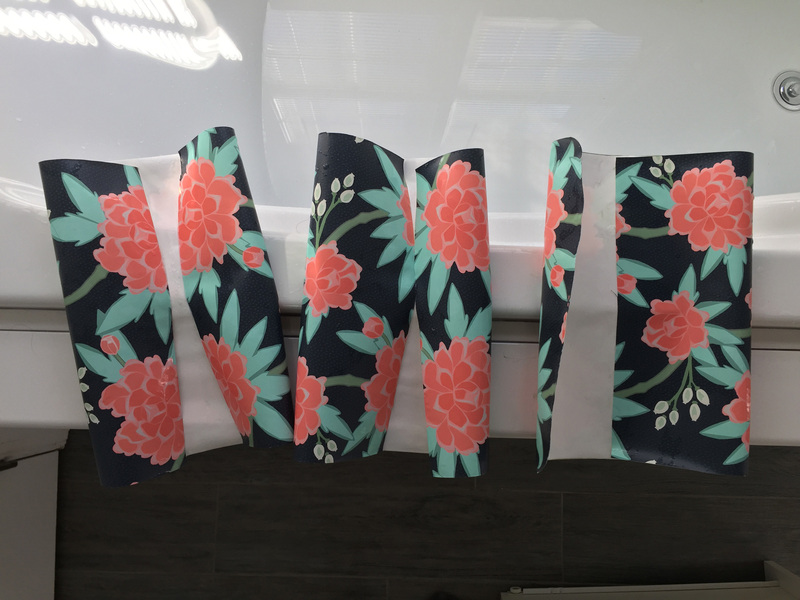 How easy is this to wipe and keep clean? I’m thinking of doing this in the kitchen. Thx!! Great question! It’s actually quite easy. To wipe down your drawers, we recommend using a damp sponge. We do not recommend using a cleaning product with chemicals as this can lift the color off the paper. 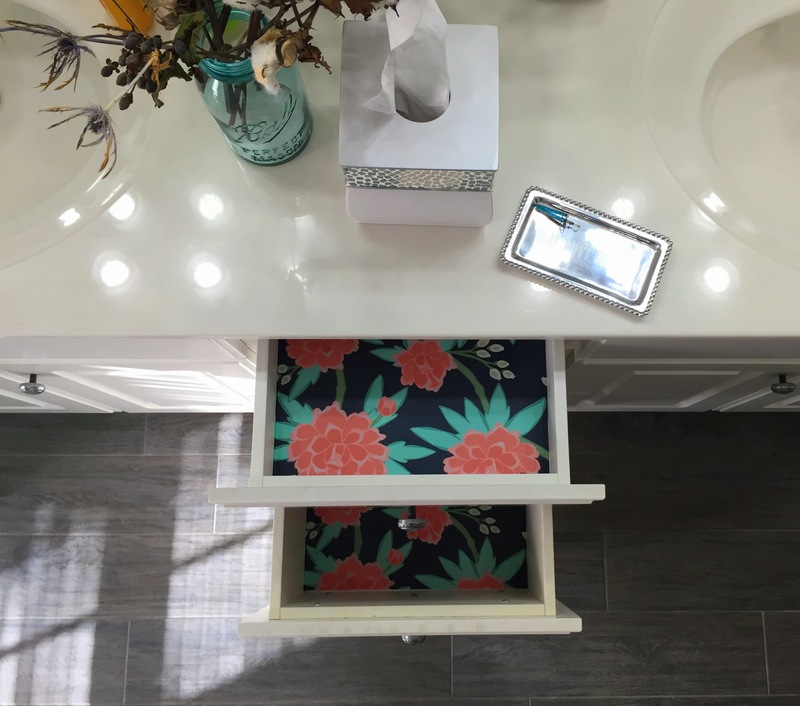 We’d love to see photos of your drawer liners once they’re complete! I love this idea! Where can I find wallpaper nowadays? 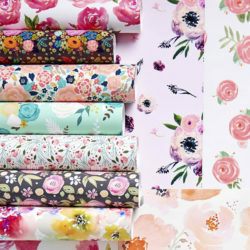 We have quite a wide range of options at Spoonflower–check out our selection here! I am renting my apt and would love to do this to my kitchen drawers. Is it easy to remove? For renters specifically, we recommend our woven wallpaper which is removable. It peels off like a sticker and is also repositionable, too! I read, “where can I find wallpaper nowdays?” and not to cut into someone’s dime, I have NO choice but to be the ultimate penny pincher. Salvation Army, Goodwill & St Vincent DePaul are good places to start. I just purchased a jumbo roll for $2 on a 1/2 price color day. We’re moving and i get the eebie jeebies about some stuff. I will be able to do all drawers & cabinet shelves in the kitchen, bathrooms & linen closet and probably the small pantry… for $2?!! If you have guests going through your house checking/noticing it’s all the same…hmmm…what’s that about? Puff up your chest, show/tell (certain) people what you did with $2! 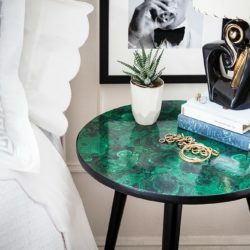 Hi there, yes it’s a lovely idea and an ld- fashioned one – been around a long time but nice to see it freshening our homes. I’m curious though – does anyone know of a sealant for non-waterproof wallpaper to use on a bathroom wall? 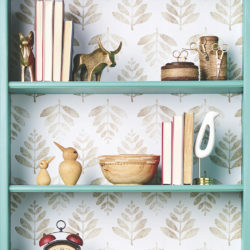 We’ve used decoupage on our wallpaper and it’s worked great for very small splashes. You might want to look into acrylic wallpaper sealer although please note, we have not tested this on our wallpaper. We suggest starting with a sample swatch before sealing all of the paper!